The quiltmaker’s English roots, and career as a needlework instructor, are both reflected in the quilt’s design. 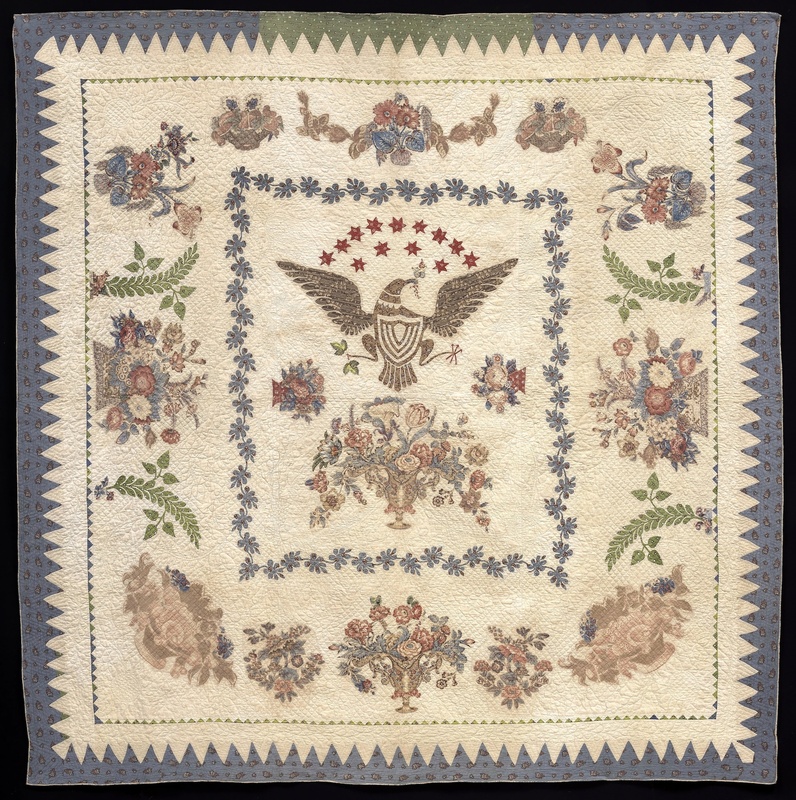 Its style recalls high-style English quilts of the early 19th century, and the quilt’s imagery suggests an oversized version of a needlework family record or memorial picture. Such needlework pictures were produced at young ladies’ academies like Norris’s. 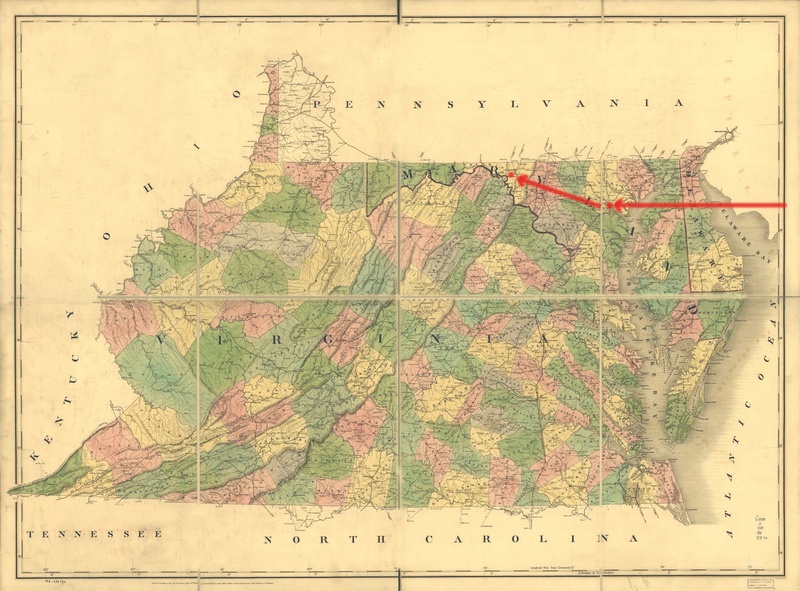 Mary Rooker’s family emigrated to Baltimore in 1807, where she and two sisters established a girls’ seminary. After her marriage, Mary lived in Harford County until widowed in 1829. In 1830, she returned to teaching at the seminary. By the time she made this quilt for her granddaughter and namesake, Norris lived near Hagerstown with her son-in-law and daughter, Susan, who may have helped sew the quilt. Rural shopkeepers advertised their twice-yearly shopping trips to Baltimore or Philadelphia for goods on a par with city shops. Mary Norris, from a well-to-do family, surely was accustomed to using fine fabrics for her quilting. But she could find them in Western Maryland. Some of the flowers in this quilt are also in Catharine Garnhart’s eagle quilt.